Well it seems Saturn's moon is being affected by the gravitational pull of Jupiter at the moment and we are on a roll. Check out the docks webpage or contact us for more info. Unfortunately we were not blessed with gorgeous sunshine or blue skies. Instead carrying a hot coffee in one hand and an umbrella in another was deemed more necessary. Even though the weather was not on our side, the crowds certainly were. As we made our way through the hustle and bustle of Clerkenwell's streets, we reached our very own, fully equipped showroom, perfectly placed down Great Sutton Street. It was now time for those finishing touches. We had The Collective team shining apples, pouring prosecco and readjusting plant pots. With everything done, doors opened at 9 and our busy day began. It wasn't all work and no play. Lucy and I ventured out late afternoon, there was a big red bus handing out free coffee. Actual free coffee, Amazing. We were then chased into a soup shop called Nusa by the hail and thunder. We sat there and ate bread and soup until our hearts were content. Oh, we also gave in to a very charming caricature artist, who was definitely not concerned for our feelings when annotating our faces. Highly offensive. Highly entertaining. Thank you very much Maxwood Bathrooms for organising it all. Ophelis Docks gives you the perfect ingredients to make desks and soft seating rise to the task like a Mary Berry soufflé. 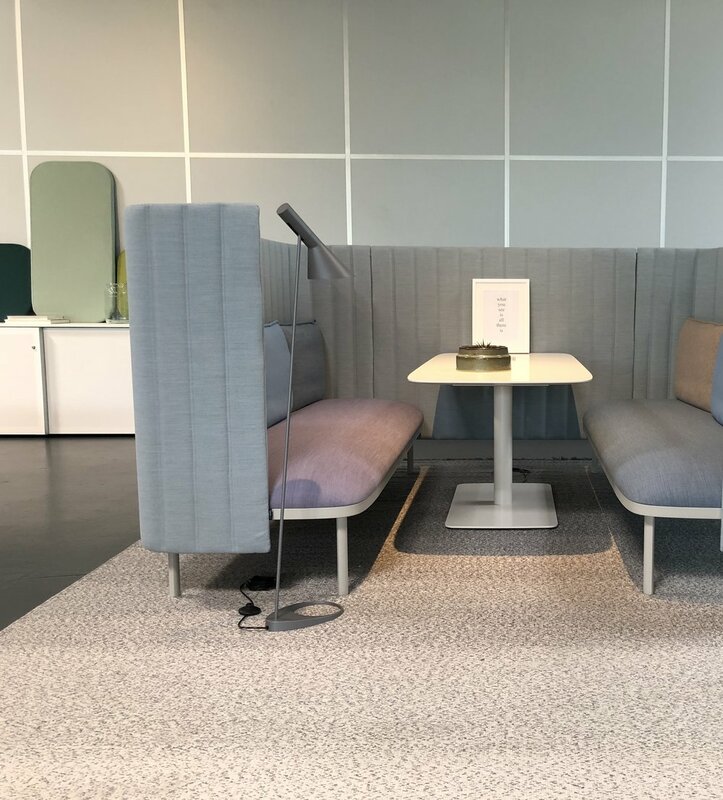 With simply seamless power and data integration along with the ability to configure the 90cm x 90cm based units to your spacial requirements, Docks makes the perfect fit for any collaborative space.